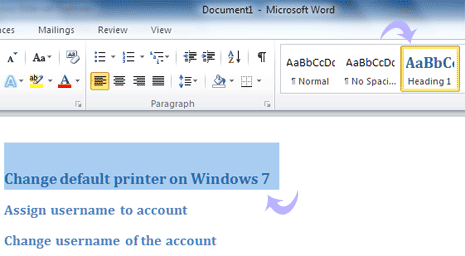 If you are writing a professional document in Word application, then ‘table of contents’ is a must have page. TOC page serve as index page containing reference links to topics being discussed in the given document along with respective page numbers. It allows reader to view summary contents of the document and skip to content of their choice within a Word document file. 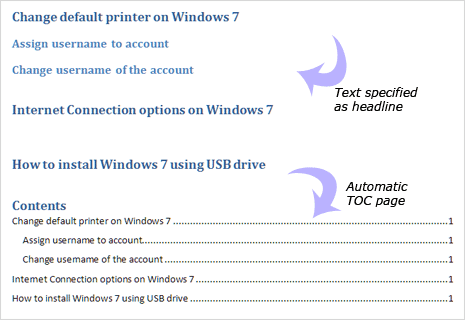 You can easily create TOC page in Word 2010 application. 1. Open Word 2010 program on your computer. Start with a blank document page. 2. Click on ‘Refereneces’ tab at the top of Word 2010. 3. Under ‘References’ tab, click ‘Table of Contents’ button and then click ‘Manual table’ option. This will add sample ‘Table of Contents’ page in Word 2010. It contains dummy text which you can edit for specific page titles and page numbers as per requirement. 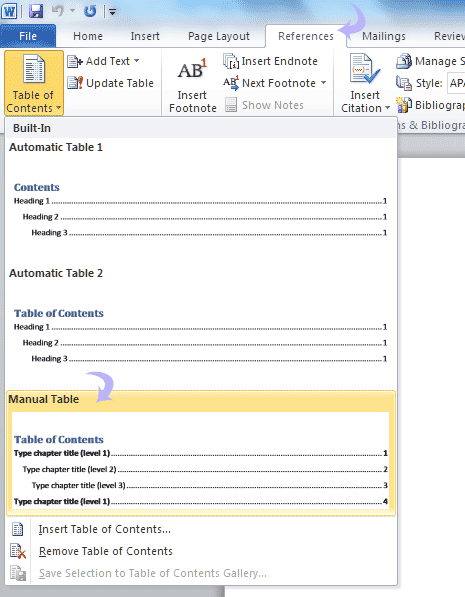 If you have a long Word document with lots of pages, you can use automatic method to generate ‘table of contents’ page. This feature automatically picks up title of individual pages and respective page number to create meaningful TOC page. 1. While typing / writing in your document make sure you assign heading style for ‘table of ‘contents’ feature to identify text to be used in final TOC page. Select text to be used for heading and then under the ‘Home’ tab click on ‘headline 1’ (or headline 2 and so on) button under ‘styles’ option. 2. Once you have specified headlines on different pages of your Word document, click on ‘References’ tab. 3. Then click on ‘tables of contents’ button under ‘references’ tab and click to select ‘automatic table’ option. This will automatically generate ‘tables of contents’ page with relevant headline text and page numbers. Automatic method to create TOC page is very convenient for accurate and specific contents on the cover page. Also, it saves lot of time and efforts! How to open DocX files in Firefox web browser?